Engagement Dossier for Teaching – who speaks and acts? Do your teaching objectives include encouraging students to situate their classroom learning within larger social issues, and further social justice inquiry through engagement in and with distinct communities? Have you been thinking about the relationship between critical pedagogy, research scholarship, and community-engaged work? Would you like to develop your teaching philosophy statement around community-based learning goals with experienced individuals in the field of engaged pedagogy? 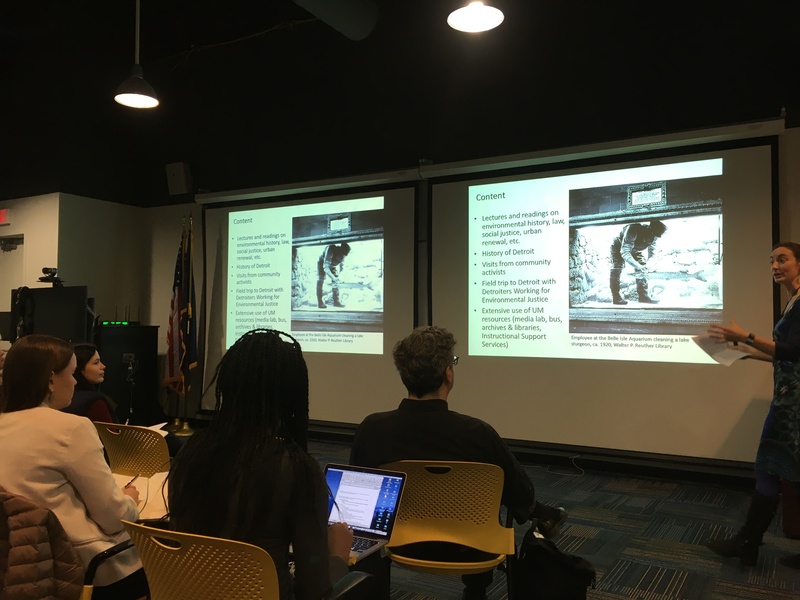 Throughout this session, participants engaged with the experiences of Dr. Sarah Hamilton, U-M History and Arts of Citizenship alumna, and Assistant Professor in the Department of History at Auburn University, Alabama. 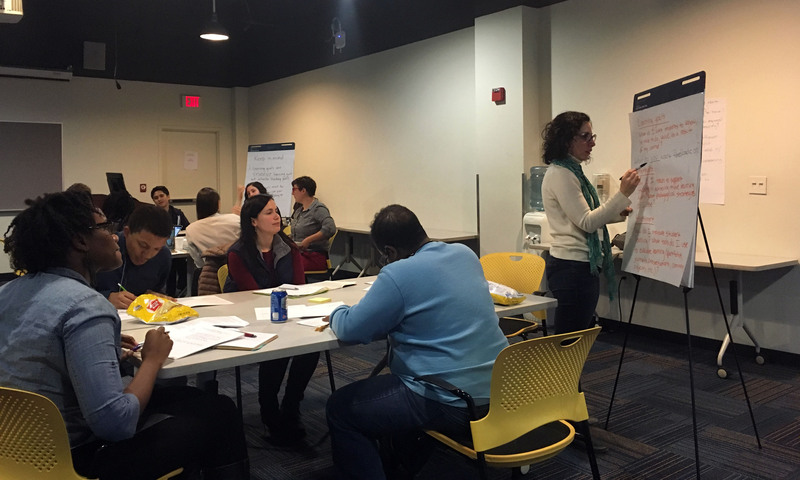 They also worked on their teaching statements in a facilitated setting with Professor Hamilton and members of the U-M community. All participants were expected to bring a 1-page draft of their teaching statements, as well as questions and thoughts about cover letters in the context of community-engaged pedagogy in higher education. 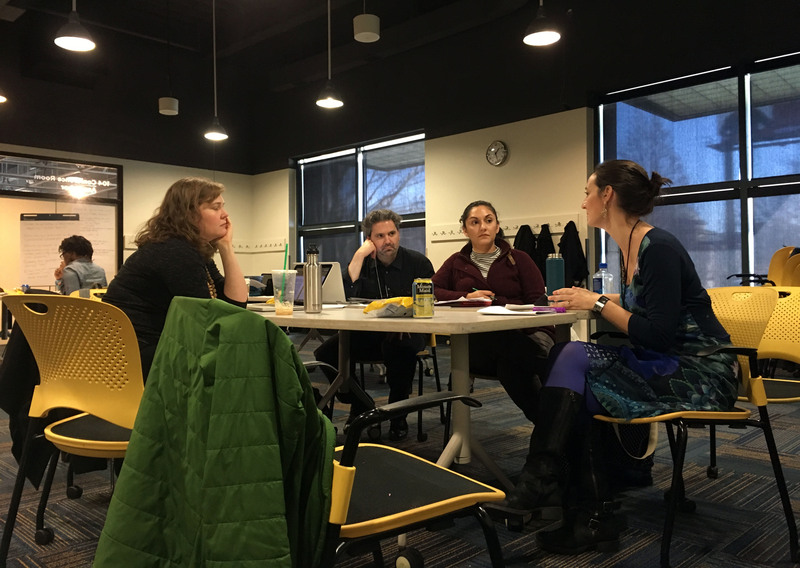 They received feedback from faculty members and administrative staff experienced in community-engaged pedagogical practices, and left with a revised draft of their teaching statements. Prior experience in engaged pedagogy training or assistantship was desired, but not required.